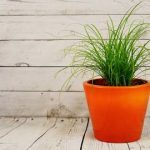 When there are events, be it personal or corporate events—birthdays, weddings, house warming, company events, there can be nothing better than to gift a variety of plants. You aren’t just giving a gift, but you are starting a whole new legacy by gifting plants. Plants can add to the décor of a place as well as bring positive vibes to your house. Plus the joy of nurturing your plant is at a different level. Therefore, nothing can be better than gifting your clients, delegates, loved and dear ones- plants. Gift a plant and make yourself and Mother Nature happy.